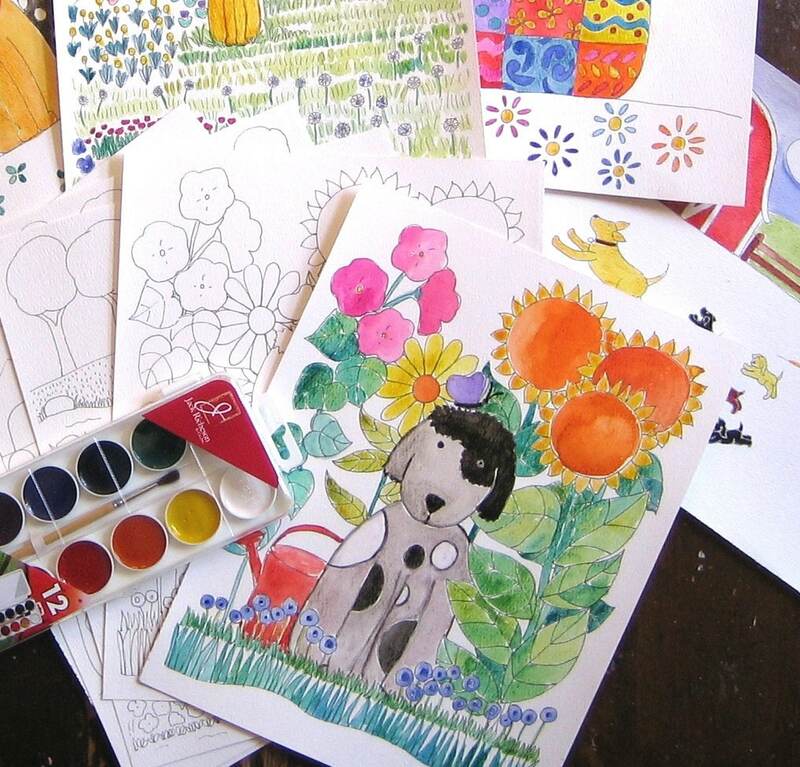 Watercolor Painting Kit is for kids and adults and comes with pre-printed papers to paint and watercolor paint set. In the lines or wild and free, it's up to the artist, and no matter what style is used, the lines will show through. Watercolor painting is relaxing and fun for everyone with lots of room for learning and experimenting. It's a great way to enjoy creating art whether you are experienced or not. Pre-printed pages is just one way to experiment and enjoy watercolor painting. 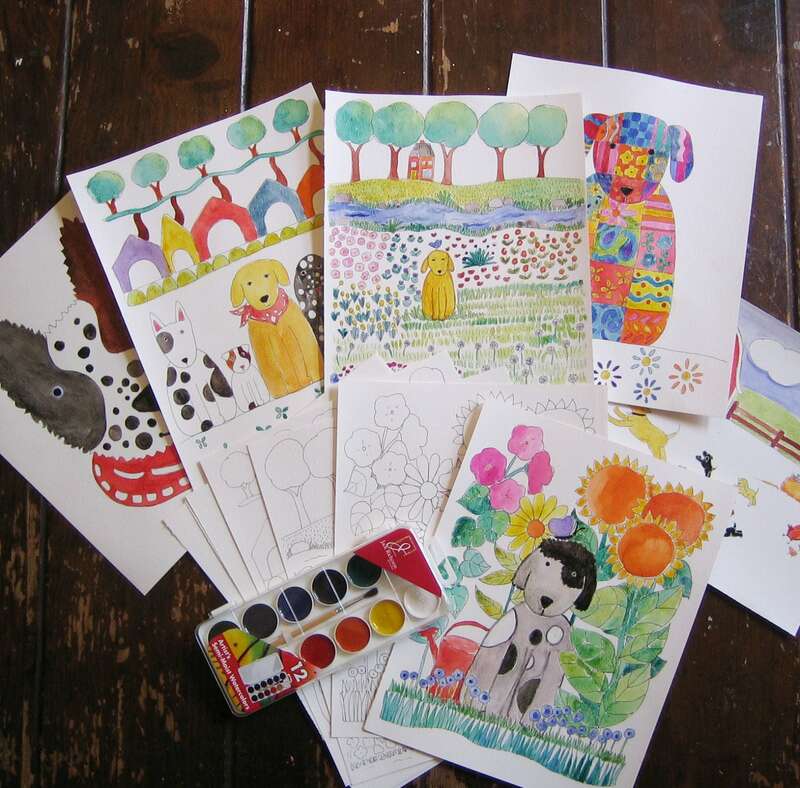 Kit contains ~ 6 original dog illustrations pre printed on fine quality 140 lb weight watercolor paper, ready to paint. One sheet of blank watercolor paper for experimenting. One 12 color set set of Jack Richeson fine quality semi-moist non toxic watercolor and paint brush, and tips. 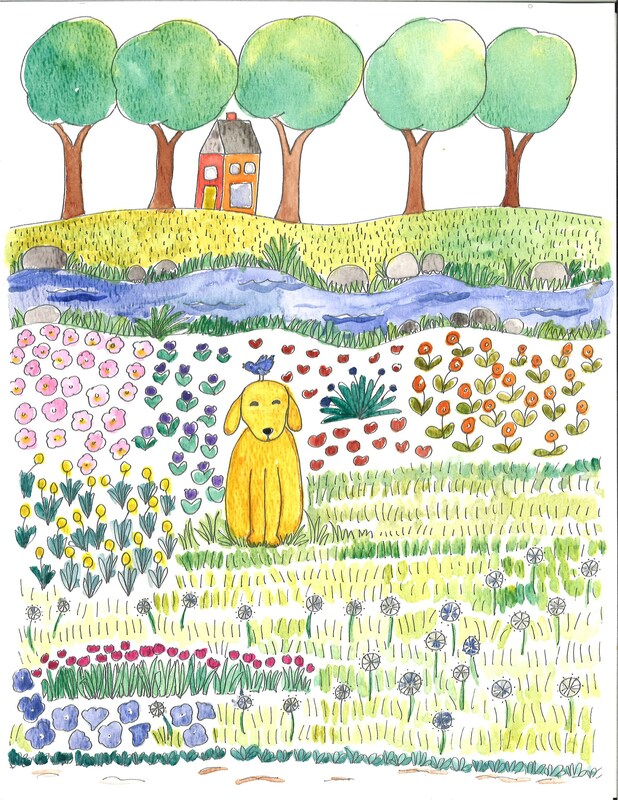 Dog illustrations are fun and lighthearted with a folk art feel. To be painted any way you choose.